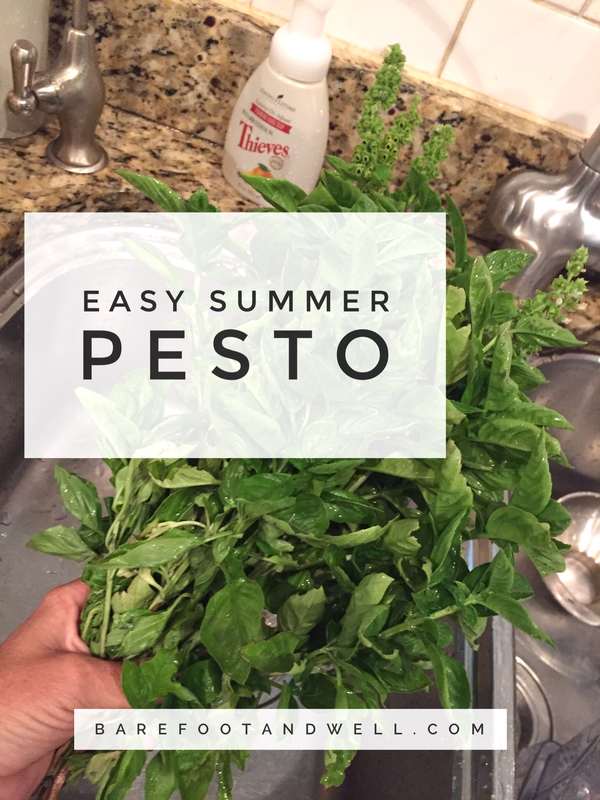 Homemade pesto is one of my favorite summer things on the planet… except for my bikini ✨ 👙 ❤️🌱. We plant basil a few times throughout the summer just to make caprese salad & pesto for days. It is super easy to make and really makes an incredible light dinner. We serve it with zucchini noodles made with our Spiralizer. It is the most incredible way to eat like 5 zucchinis in one meal🌱and we actually prefer them to any other noodles. Lightly sauté the noodles in olive oil and just a bit of garlic & drain well before serving. Then smother in pesto❤️ or whatever sauce you are loving. Gallery | This entry was posted in Eat Well, The Art of Living Well and tagged basil, Coastal Chiropractic, Dr. Celeste McLean, easy Pesto, eating well, food saving, garlic, Gluten Free, Himalayan salt, home grown, Love your food, lovedroppers, olive oil, organic, organic veggies, Pesto, pine nuts, Spiralizer, summer, vita mix, vita mix blender, vitality, zucchini, zucchini noodles. Bookmark the permalink.